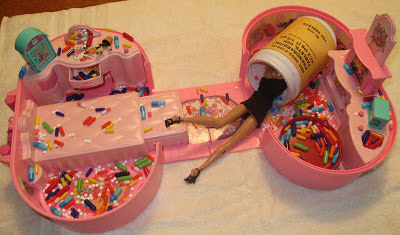 Altered Barbie Exhibit At Shotwell 50, 50 Shotwell St./14th St., (415) 240-2202. Free, but donations welcome, including donations of used and new Barbies and Kens. Don’t miss this 10th annual exhibition of clever Barbie art, contributed to by artists who like to have fun. Special events include a make your own altered Barbie workshop. Runs through November 18, 2012; W-Sat 1-8, Sun 1-5.